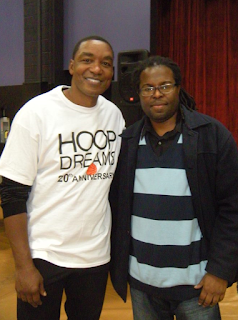 Over the years of knowing NBA Hall of Famer, Isiah Thomas, he has always been a humble, genuine and sincere individual. He leads by example as he has a passion and genuine spirit for giving back to our economically disadvantaged and underprivileged youth, as well as always demonstrating his humanitarian efforts to make a positive change against violence in his hometown community on the Westside of Chicago. I recently interviewed Isiah Thomas, a man who is a father, husband, a successful businessman, philanthropist, and an amazing individual that I am also honored to call a friend. 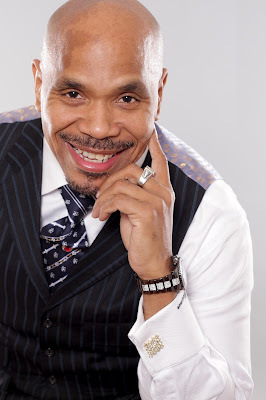 Here is what the 2x NBA champion has to share with the readers regarding his involvement as President of the New York Liberty WNBA team, his executive producer role of the recent film Playin’ for Love, and much more. Aaron Robinson: Hello Mr. Thomas. How are you sir? 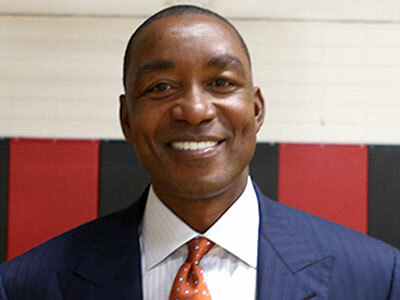 Isiah Thomas: I’m good, and yourself? Aaron: I’m great! I’m great! I just want to thank you for taking time again out of your busy schedule to pursue this interview! Isiah: Oh it’s my pleasure, my pleasure! Aaron: It’s great speaking with you again. How is your day going first of all? Isiah: It’s going good. Everything is going well. My team’s wining! We’re in first place in the East. Everything is good. Aaron: That’s great! Congratulations! 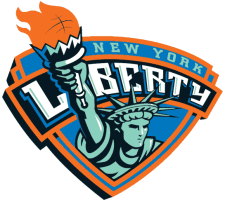 I want to first start by asking you…you are the president and part owner of the WNBA team New York Liberty, how has that experience been for you? Isiah: It’s been great! Our fans have been great. We’ve had 18,000 people in our arena - a sell out a couple games ago. The team has played well. [During one point of the season] we won five games in a row. Coach Bill Laimbeer has done a great job with the team. Aaron: Awesome! That’s great! What captivated your interest in wanting to work with a WNBA team? Isiah: I love the game of basketball. Those of us who play the game or have played the game, we don’t look at it in terms of gender, but just in terms of the game. The game does not discriminate; however, people do discriminate with the game, but the game itself does not discriminate. Becky Hammon, the former New York Liberty player was recently inducted into the Ring of Honor. She helped coach with Greg Popovich, the head coach of the San Antonio Spurs Summer League team. Just to listen to her in the huddle and just talking about the game…the language of basketball is the same regardless of gender. Aaron: What do you like most about your position? Isiah: The best thing about the position is that you get to introduce the game to millions of people who want to experience our game. You also have the chance to help people grow within the game, whether it be players or coaches. It’s always about giving back and making others better and making sure your platform services others. Aaron: On the other end, what are some of your greatest challenges? Aaron: Your life has always involved you partaking in some form of business venture. As a businessman and entrepreneur, what makes this endeavor so different, unique and exciting from any of your other endeavors? Isiah: I would say the most unique challenge about this basketball experience is how the public really views the game in terms of gender. But, the players themselves, and the players ourselves, we play the game. The language around the game, maybe twenty years ago, the women’s game was compared to Michael Jordan because he flew in the air. He was the symbolism of the perfect player. Now, Steph Curry, who is 6’3” 180lbs, is the symbolism of the perfect player. Steph Curry plays below the rim; whereas Michael Jordan played above the rim. Our game is played below the rim. The women who play this sport are Steph Curry’s size. (laughs) The game is described as beautiful below the rim because of the passing, the cutting, and the fundamentally sound game that they enjoy watching in the NBA. Well, that’s our game in the WNBA. We just need to expose it more. Aaron: Very interesting Isiah. Regarding basketball, do you have any advice or words of encouragement for young females who are looking to be a professional basketball player? Isiah: ‘A’ Learn to be a great teammate. Being a good teammate means you have to be a good person. Second, learn to shoot. And third, be coachable. Listen to your coach. Aaron: Great advice! I recently interviewed Robert Townsend regarding the film Playin’ for Love. I saw your name in the press kit and was like “Oh Wow! You’re the Executive Producer. You are very serious about these young people.” I love that! That really touched my heart. When I spoke with Robert Townsend, he said some great things about you. What was the experience like for you working with Mr. Townsend and a multitude of youth? Isiah: It was watching a true genius at work. Robert and my older brother grew up together. Robert and I both are from Chicago. 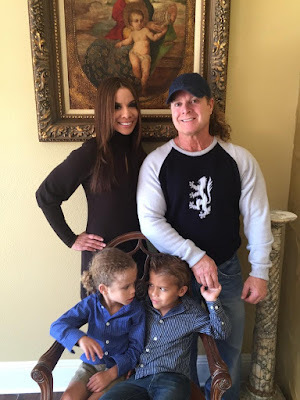 We all grew up on the Westside of Chicago, so having the opportunity to work with he and Salli Richardson-Whitfield, who is also from Chicago – the three of us came together to work on a project around kids and around basketball, which we all love. For me it was like I was in a fantasy basketball acting world. It was just awesome! For the first opportunity that I had to do a movie, I was the executive producer of a small film in Detroit called Never Lose Your Hope. It was the Winans group and Jeff Daniels. The movie was about kids never losing their hope and dreams; it was also about inspiring them [kids] to be whatever they can be in life. Playin’ For Love is very similar to that… kids inspiring to be the best, but you also have parents teaching valuable life lessons. You have a community that came together to work on the project. So, everything that was done behind the scenes – the food, catering, editing – a lot of that was done by kids who wanted to pursue the business. All of the kids that were involved in the film were Overtown [Miami] kids from the neighborhood; they were given the chance to live their dreams, be a part of their dreams, then see their names on the screen. For me, being a servant and giving others the opportunity to live thru me, or live thru us… it was just an awesome experience. I can’t tell you enough about the professionalism of Robert, Salli and the rest of the cast – these are two mega/super stars who came to work every day. Robert came to work every day and put 100% of his time, effort and professionalism behind it, showing the kids how to be actors, directors and producers. He was everything that the Westside of Chicago is proud of - everything that our parents and elders were teaching us in the community. Robert and Salli came to work every day and demonstrated it. I’m seeing them put in 16 or 17 hour days. It was a beautiful experience to watch them teach and interact with the kids. Aaron: I’m very proud of you guys. When I read about that, I was like wow! Especially with you being involved Mr. Thomas, I was speechless. You have your hand involved in a lot of great things, and I sincerely love you guys for that. Isiah: Thank you. Thank you! Isiah: The only thing that I would like to add is, whenever any of us can show up and give of our time, and I know it’s easy to write a check, but when we give our time to one of those little kids, we create and make a memory which is more valuable than the dollar. Aaron: I thank you for your time Mr. Thomas.